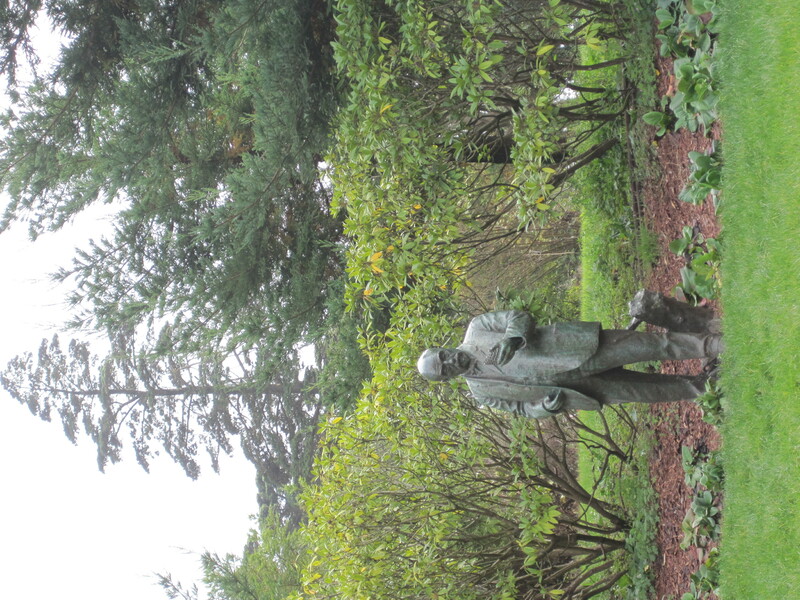 What would John McLaren think of his statue at the entrance to the newly renovated rhodendron dell? 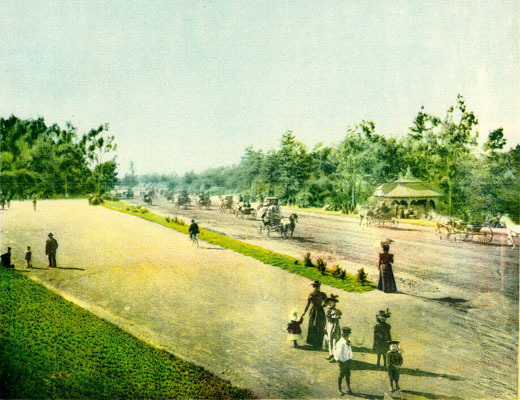 By all accounts he was opposed to cluttering up the park with statues and monuments; thought the funds would be better spent on enhancing the park landscape. But maybe in this case he would appreciate the gesture? 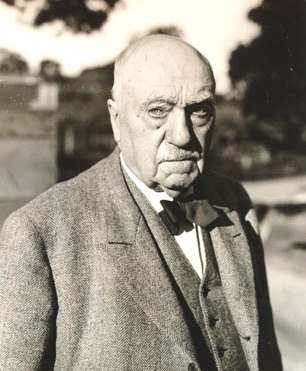 McLaren, a tough Scotsman, served as park superintendent from 1887 to 1943, weathering countless changes in city government and protecting the park against repeated threats to the bucolic vision he had for it. He was such a strong advocate for the park and left such an indelible mark, that his successors have been hard pressed to fill his shoes. Since McLaren rode around the park in his chauffeur-driven Cadillac, popping in on work crews unexpectedly and leaving red-faced foreman in his wake, the job has gotten harder and more complex, although many of the core issues remain the same. Most great city parks have historical ghosts like McLaren, that haunt the grounds. Thanks for this well-deserved tribute to John McLaren, who was responsible for a successful park system for over 60 years. I believe we have had 5 general managers of RPD in the past 10 years, so we can appreciate McLaren’s long tenure in a difficult position. My favorite McLaren story is from one of the many histories of San Francisco’s parks. Apparently one of the first things he did when he became general manager was to decree the removal of all “keep off the grass” signs in the parks. He believed that the grass was the public’s carpet for their games and picnics. The gardeners were less than pleased, but McLaren ruled the parks. I am reminded of this welcoming approach when I see signs today in our parks prohibiting access. One of the silliest signs is the one prohibiting access and referring to a particular park code for authority. The park code that is cited says, “signs in the park must be obeyed.” In other words, there is no authority for the particular restriction that is being enforced by the sign. Great to see “uncle John”, he was one of a kind and as a small boy I got to sit on his lap and play with his pocket watch. My Father worked for him as a gardener and later in life as his chauffeur. Tough but in a good way and someone to admire for sure! John Molloy!